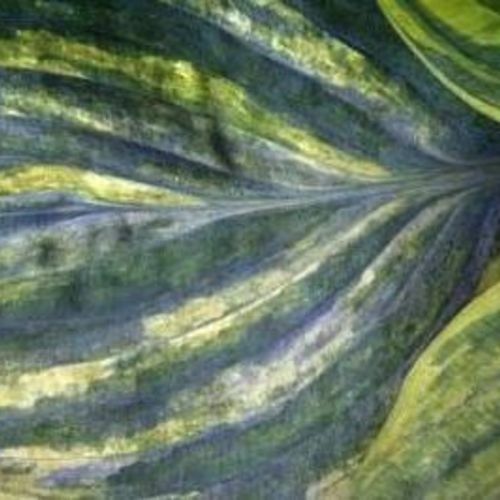 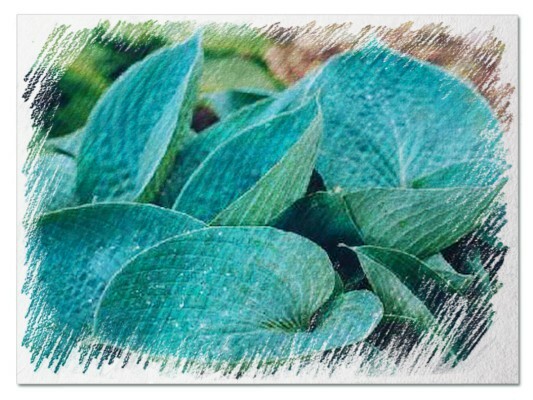 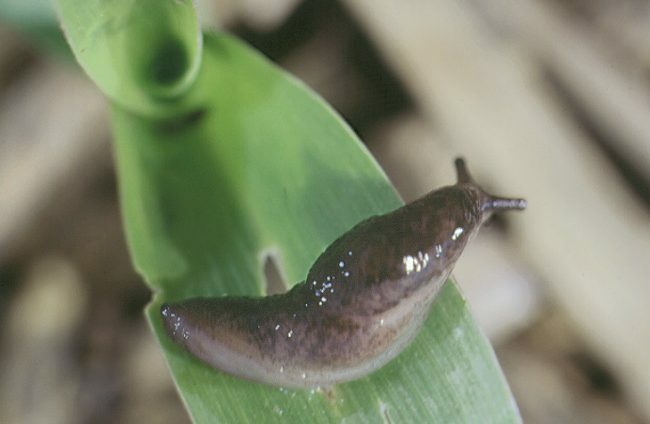 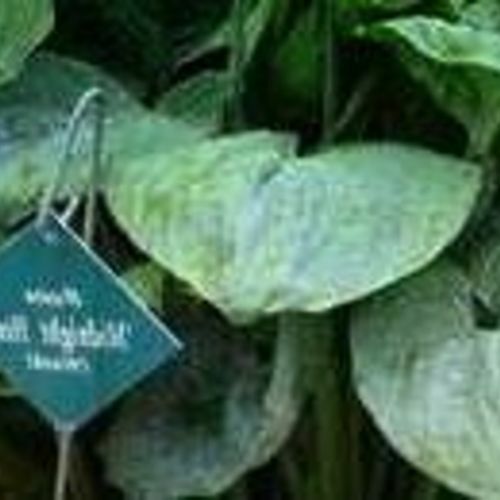 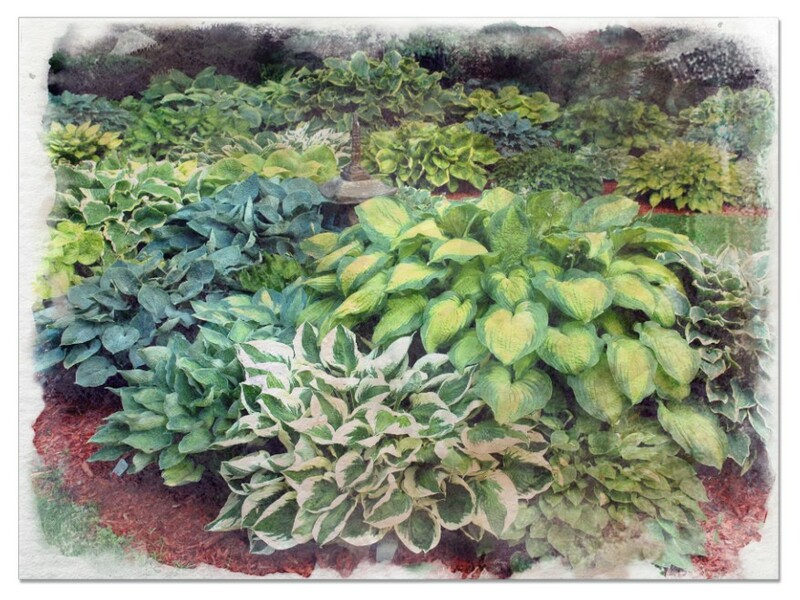 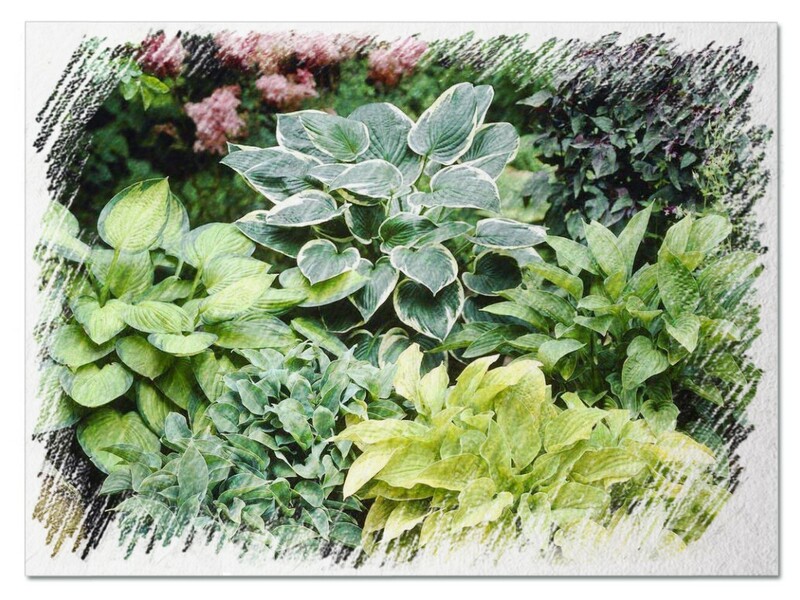 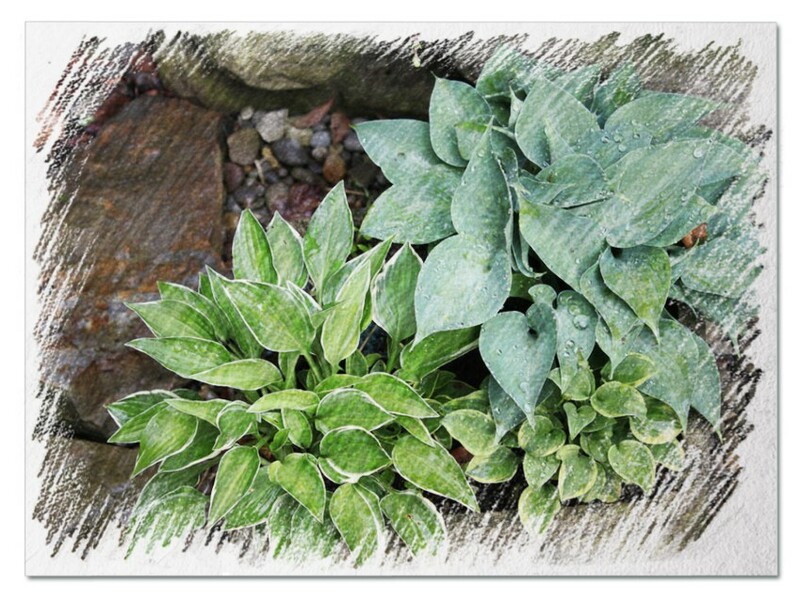 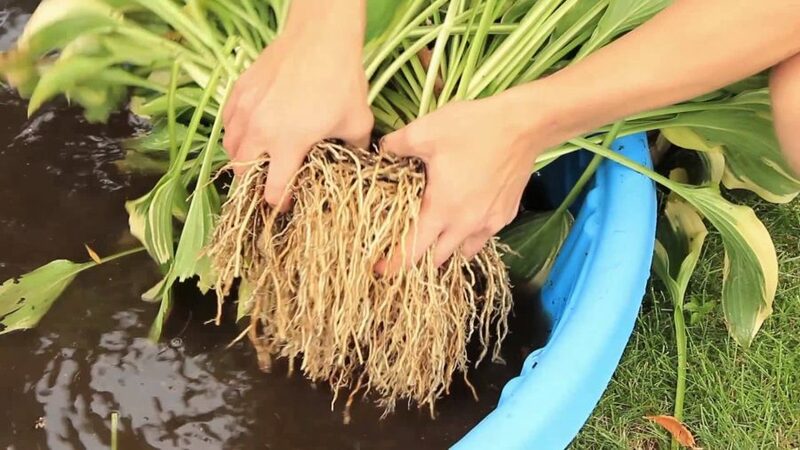 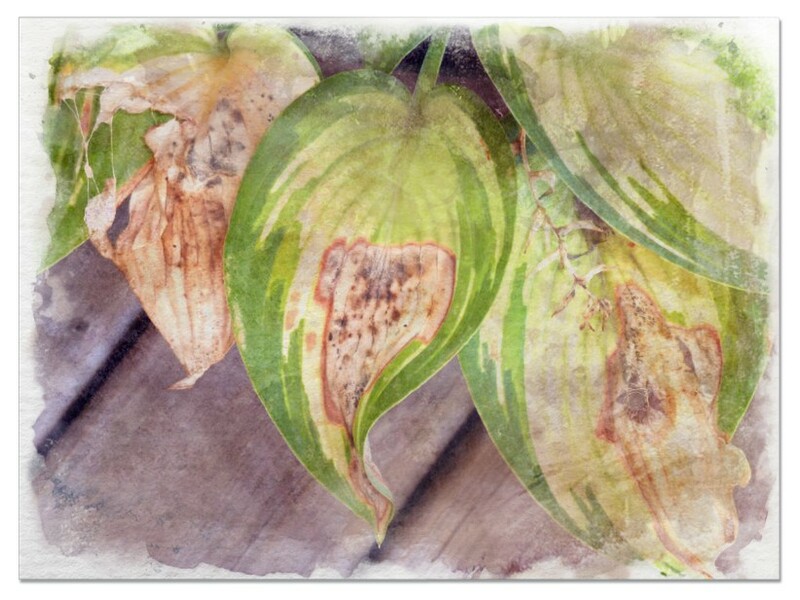 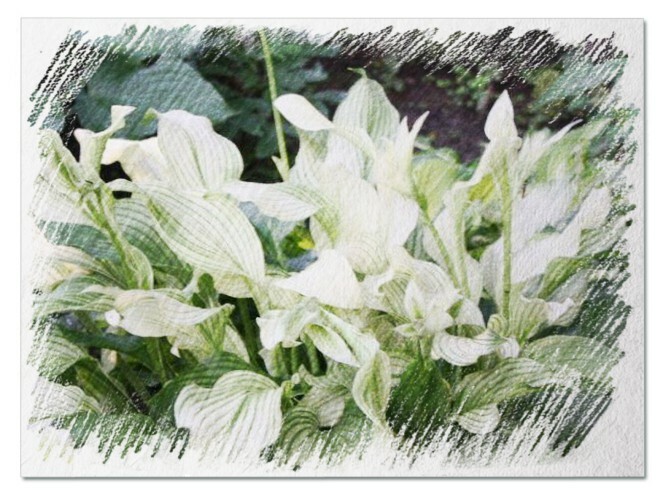 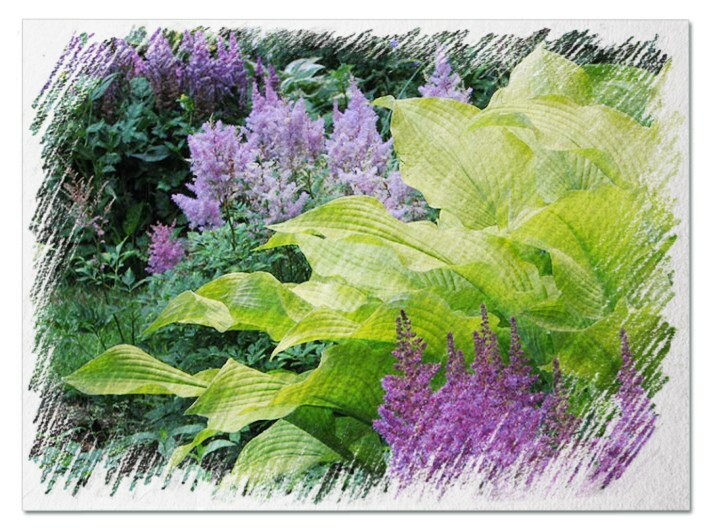 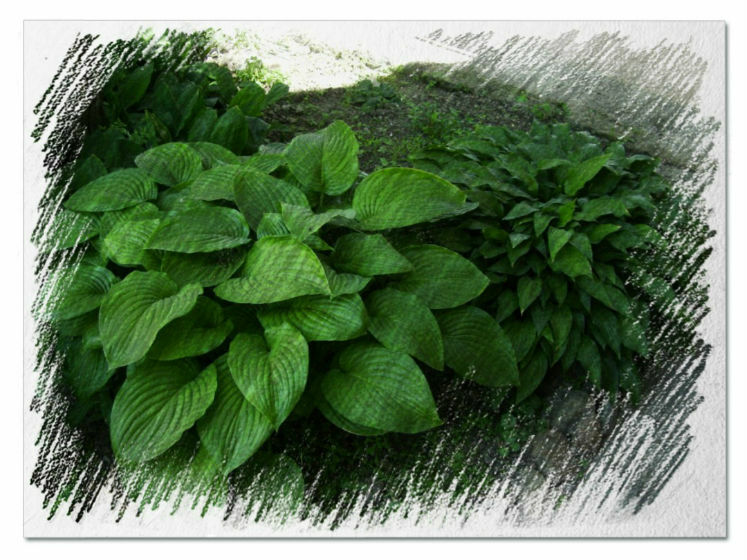 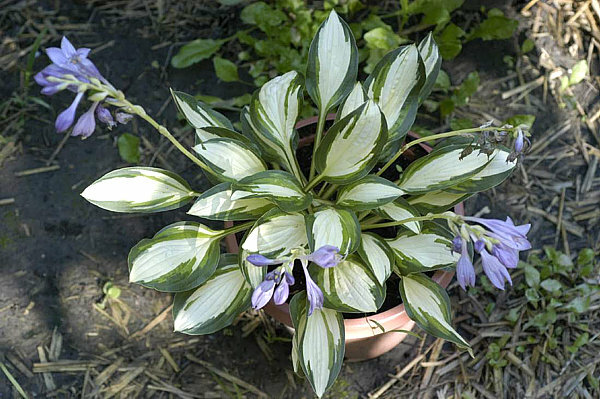 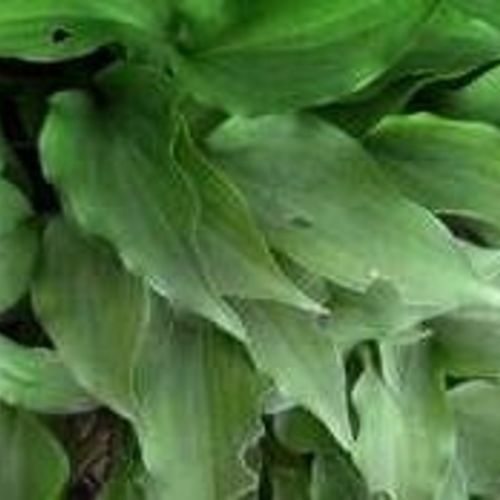 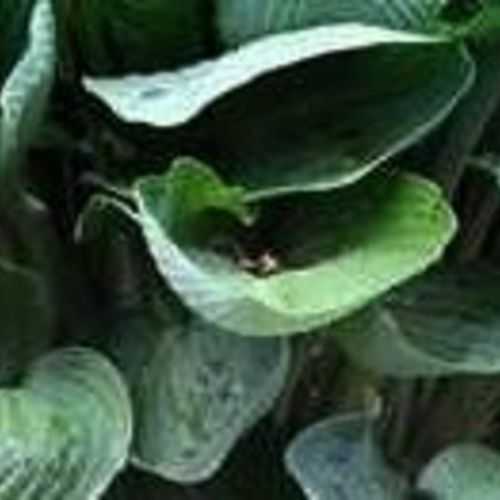 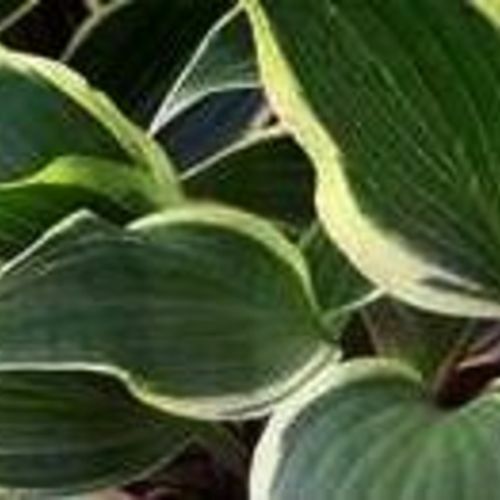 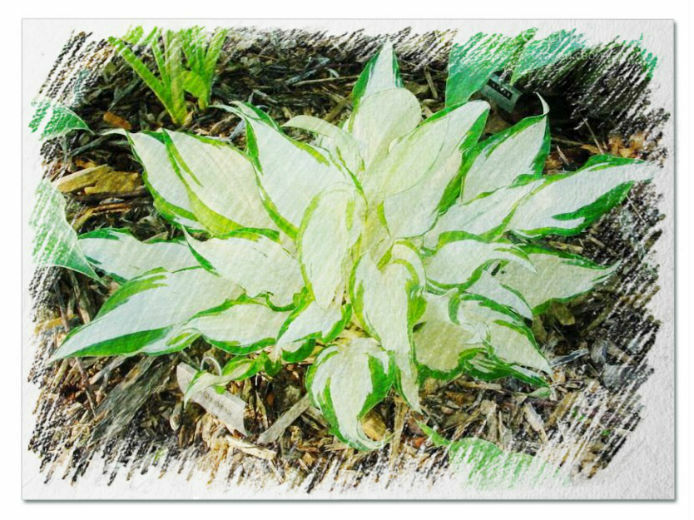 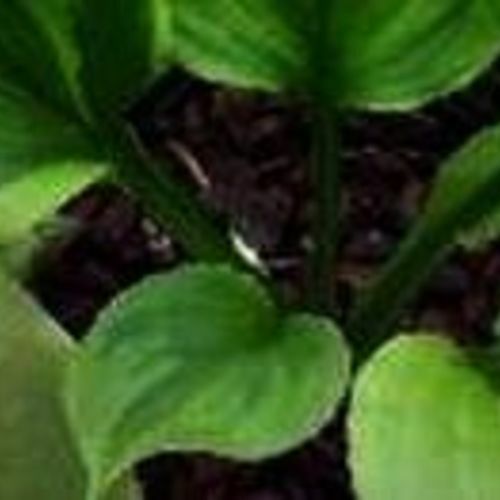 Hosta "Midnight Moon" review, information and description. 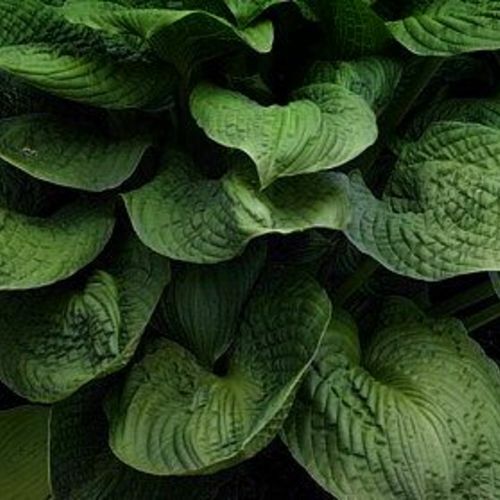 This one really excites me! 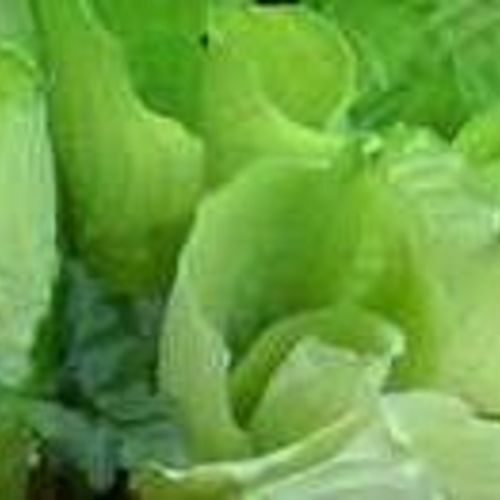 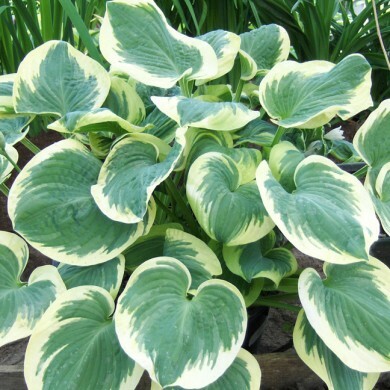 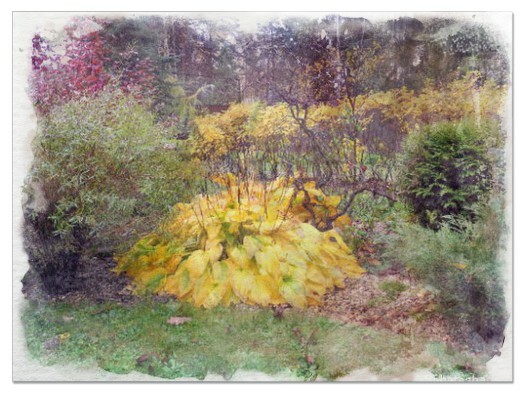 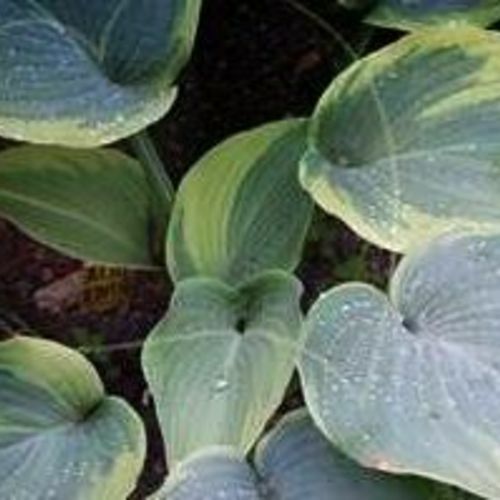 The perfect, dark green heart-shaped leaves are bordered by beautiful wide, irregular borders of yellow and cream, like the halo of the moon on a dark, stormy night. 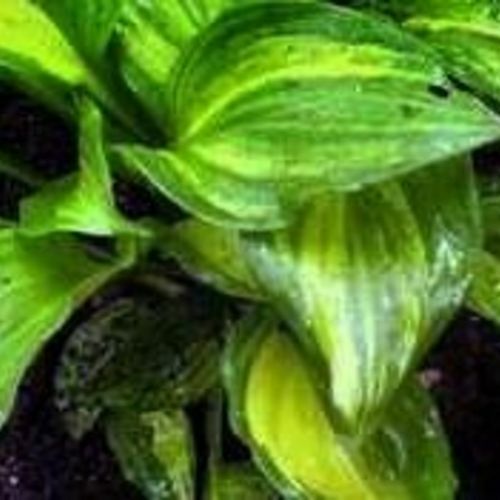 It is a small plant that increases slowly, but it is sturdy and vigorous. 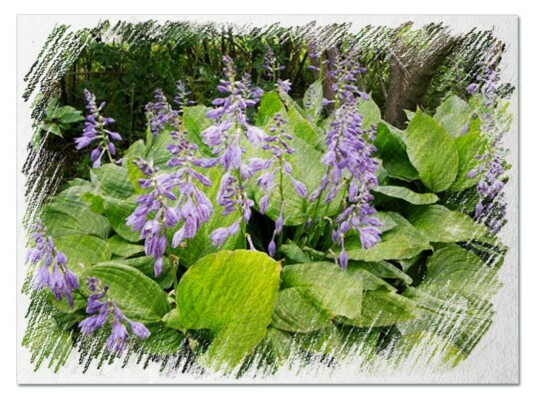 Dark purple flowers in July. 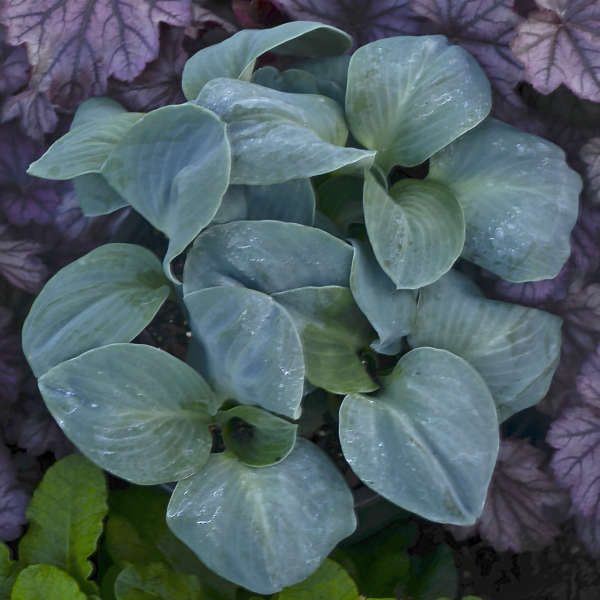 Out of a dark stormy night ,'Midnight Moon' slides in and out of the racing clouds. 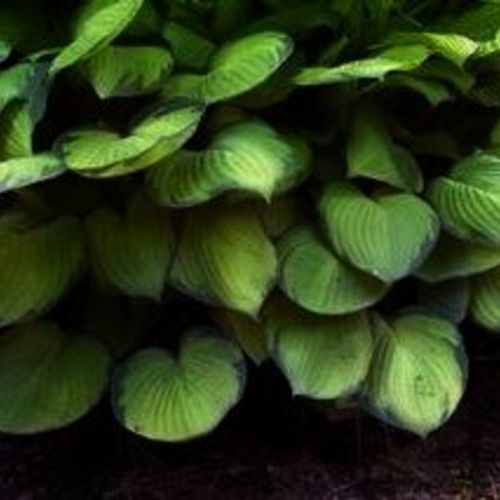 The perfect, dark green heart-shaped leaves are bathed on the margins in the glow of moonlight. 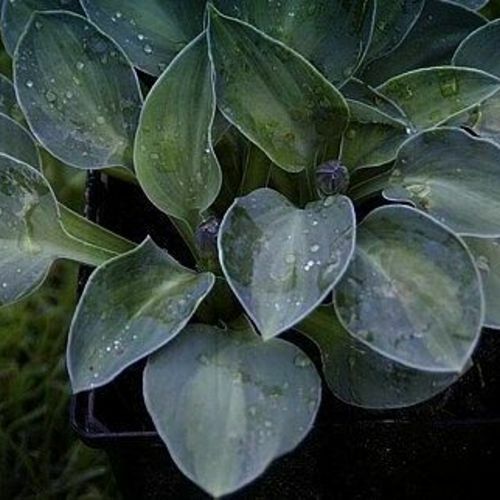 This small, sturdy sport of 'Lakeside Black Satin' is in very limited supply.